Thanks to our awesome infrastructure team, the archives.gentoo.org website is back online. Below is the announcement as posted on the gentoo-announce mailing list by Robin H. Johnson. re-engineered the mailing list archives, and re-launched it, back at archives.gentoo.org. All existing URLs should either work directly, or redirect you to the new location for that content. with an eventual goal of under 3 minutes. 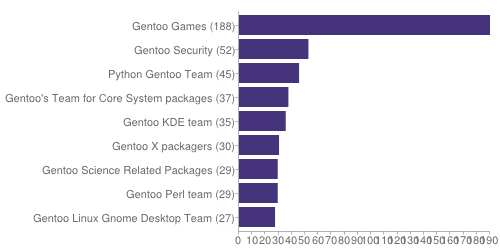 Gentoo is made up of 235 active developers, of which 33 are currently away. 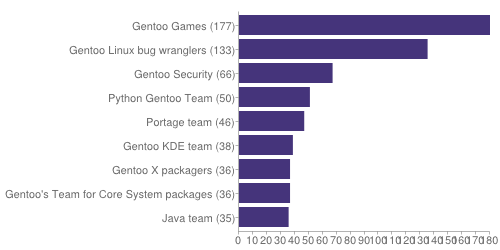 Gentoo has recruited a total of 808 developers since its inception. This section summarizes the current state of the Gentoo ebuild tree. 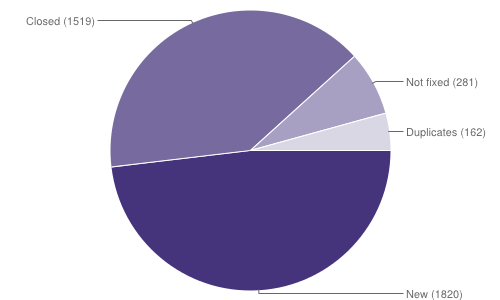 The following tables and charts summarize the activity on Bugzilla between 01 February 2015 and 28 February 2015. Not fixed means bugs that were resolved as NEEDINFO, WONTFIX, CANTFIX, INVALID or UPSTREAM.